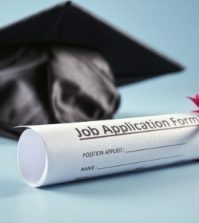 BETHLEHEM, PA —Among 2013 graduates who had applied for a job, those who took part in paid internships enjoyed a distinct advantage over their peers who undertook an unpaid experience or who didn’t do an internship, according to results of a survey of college students by the National Association of Colleges and Employers (NACE). NACE’s 2013 Student Survey found that 63.1 percent of paid interns received at least one job offer. In comparison, only 37 percent of unpaid interns got an offer; that’s not much better than results for those with no internship—35.2 percent received at least one job offer. 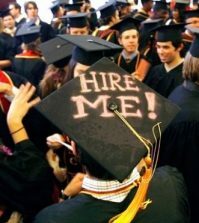 In terms of starting salary, too, paid interns did significantly better than other job applicants: The median starting salary for new grad with paid internship experience is $51,930—far outdistancing their counterparts with an unpaid internship ($35,721) or no internship experience ($37,087). Note: All data in this release are for bachelor’s degree level graduating seniors who reported applying for a job before graduation. NACE’s Class of 2013 Student Survey was conducted from February 15, 2013, to April 30, 2013. The survey yielded more than 38,000 responses from college students, including 9,215 from seniors earning bachelor’s degrees. Data for this story reflect responses from these seniors. The full survey report will be released in the fall of 2013.